Learning Cryptocurrency with SmartCash - Currency & PricesteemCreated with Sketch. Everyone by early childhood tends to have an understanding of their own country's currency, and if their interested or lucky are also aware of the currencies of other countries. But what is a currency, and to be more specific is a cryptocurrency an actual currency? or just a namesake? The dictionary definition, noun "a system of money in general use in a particular country" is a poor description and somewhat of a circular reference, as money and currency are used interchangibly in regular use. So what is a currency at its basic principle? Currency as money, is any form of common reference token in actual circulation being used as a medium of exchange in which that exchange denotes a specific amount of value at a given time. Yes the above is a little odd, but stick with it, because it describes the essence of what a currency is, by denoting that it is a standardised means of exchange that conveys a given value. The worth of a curency, is its value when compared to another form of value, typically other currencies, but not always, as is the case with gold or silver. So is SmartCash, or even Bitcoin a currency? and the answer is yes. But why? Smartcash and Bitcoin are both a standardised means of exchangeing value via there circulating supply. So what makes the price of Smartcash worth $0.02 USD vs Bitcoin $4300 USD per coin? The process of conveying the value is the price times the quantity of the currency which is realised via exchange. The importance of exchanges, is in there size and varying quantity of exchanges, which help in securing avenues of trade via currency exchange. It is this process of exchanging SMARTCASH to BTC, and BTC to SMARTCASH that determins the price, as these exchanges play out on aggregate across the whole circulating supply, the average is considered the current price. Noting that each currency trading pair, only have a price relative to each other, and do not apply beyond their exchange with each other. 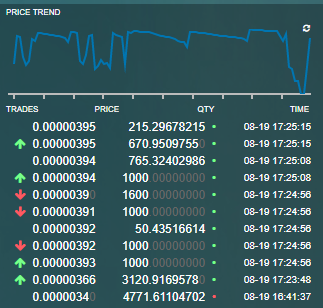 This is why the SMART/BTC trading pair, have a different price compared with SMART/CNY trading pair on exchanges. This concludes this article on Learning with Smartcash - Currency & Price, in future articles we will delve into what Value is and the complicated and emotional contributers that effect value, which influence prices and trading on exchanges. If you like the article please upvote and follow, if you have constructive feedback please comment, and if you are interested in @smartcash check out the website http://smartchash.cc and join us on the forums or Slack. 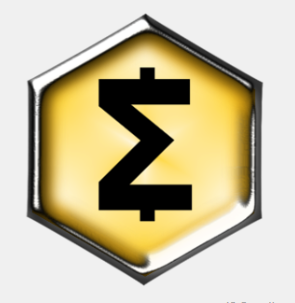 if you want to support the smartcash economy and me you can tip me at SSsnhMAdw9sbGmtEuH51kxkqFfLCj6tnoe all tips are used for trading of smartcash, into btc and then back into SMART to foster growth of SmartCash. @hockleyj, thank you for supporting @steemitboard as a witness. Thanks for writing this. I've been participating the the #smartcash Twitter giveaway. I tried cpu mining from the SmartCash wallet and didn't get anything after more than 24 hours of letting the machine run at full throttle. Any idea of how long it would take for an older Intel Core 2 Quad to get a reward from cpu mining with just the wallet? Sadly its GPU mining is the way to go now, once mining takes off for a coin it quickly becomes a race to GPU power etc. you should grab some SMART about 1000 and place it in a wallet and recieve smart rewards every month just for holding it.